Time for another weekly fashion post. Each Wednesday, I share real fashion ideas and inspiration to help get you dressed in the mornings. I highlight at least one outfit that I'm wearing right now, as well as provide tips for finding great outfits in your own closet. This week, let's talk about summer workout wear. Summer is coming. For me, even though it's hot, I tend to work out more often in the summer. Whether it's a morning yoga routine or an evening family stroll after dinner, I like to get outside and enjoy the summer. There's no need to look sloppy or unstylish while you do it. The days of gym shorts and your husband's t-shirt are over. There are a million options, in every budget for stylish workout wear. 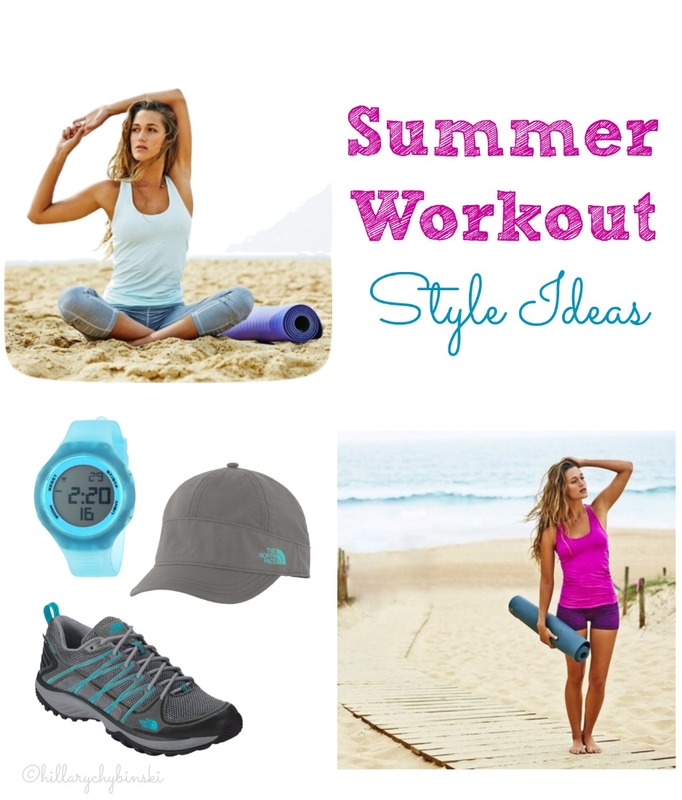 So pick up a great pair of yoga pants, a skort or a pair of board shorts and get moving! I really enjoy yoga and meditation and am working to making this more of a constant in my daily routine. I wish I had an Athleata budget, but my everyday workout gear is more on the Target budget side. 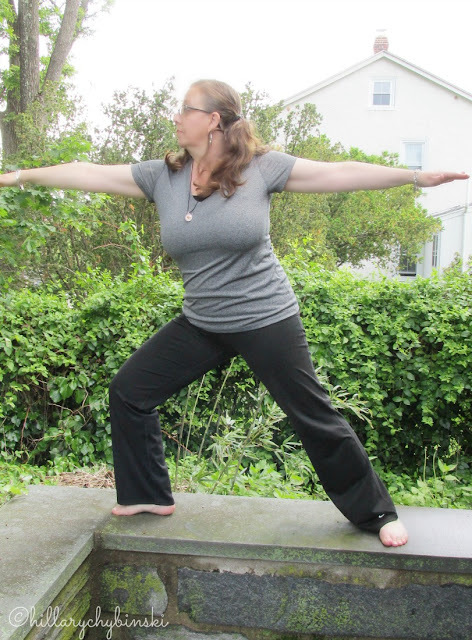 Luckily, I love the C9 line of yoga pants, running pants and sport t-shirts. They come in a variety of colors and styles, so most people can find what they prefer. 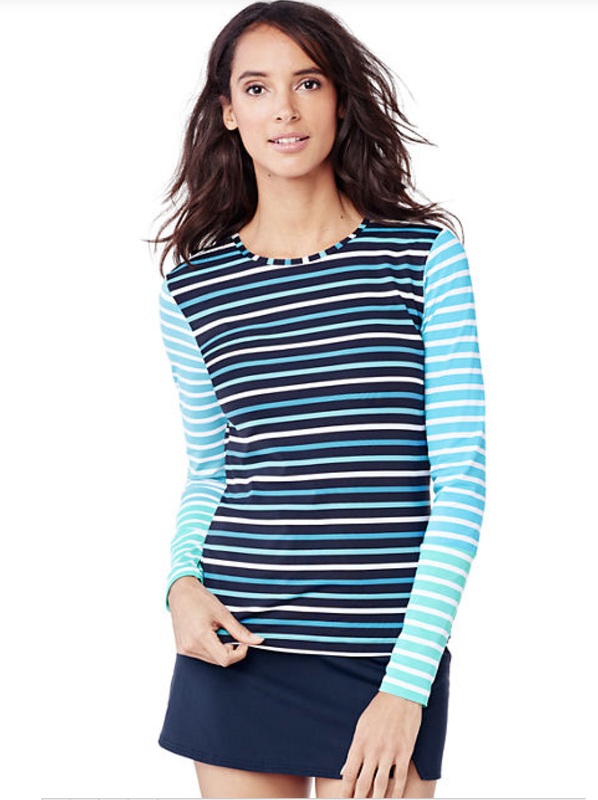 Target also offers a wide range of sizes, in case you're working towards a new goal. Shorts and a t shirt work well for both summertime walks and hikes. I like to wear a microfiber material to resist chaffing and also to whisk moisture away from my skin. There are a lot of great skorts available as well. Check the golf section of your local sporting goods store. Good quality shoes are a must for a walking or hiking routine. I love Vionic with Orthoheel technology and have the pleasure of working with them in the past. Find a shoe that fits your foot for the greatest comfort and workout effectiveness. 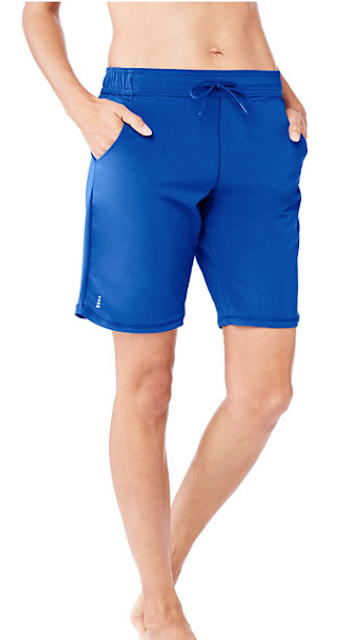 My favorite brand for the beach and pool, hands-down, is Lands End. I have a middle age, full-figure body. I need adequate coverage without looking "old ladyish" and I don't want to spend my time tugging and pulling. A swim skirt or boy shorts style with a swim tee is my perfect look. So no matter what your summer workout includes, there are easy and affordable ways to still look your best! What's your favorite summer workout activity? How do you stay stylish? You Yoga, too? Where do you find the time?